Date: 4 March, 8 pm. Date: 5 March, from 10 am to 12 noon. Date: 7 March, 9.45 am. Date: 7 March, 9.50 am. Date: 7 March, 11 am. Date: 7 March, 5.30 pm. Date: 7 March, 7 pm. Date: 7 March, 7.30 pm. 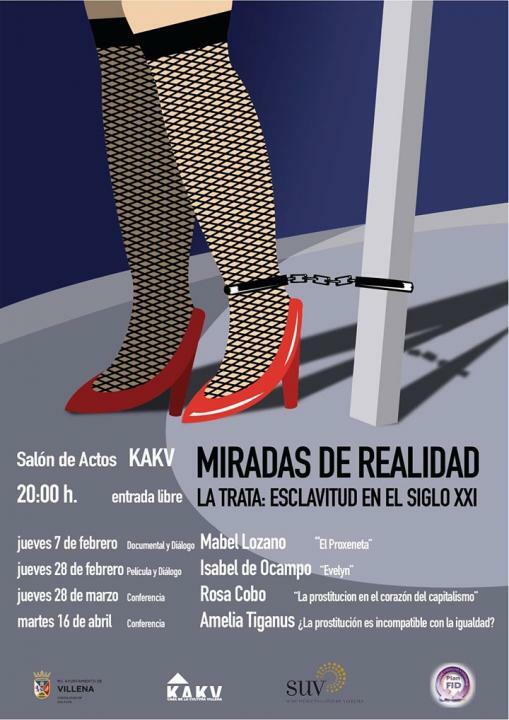 By Bárbara Ortuño Martínez, as part of a course on people and major figues of Elda and their life contrasts. Date: 7 March, 8 pm. Date: 8 March, 12 noon. 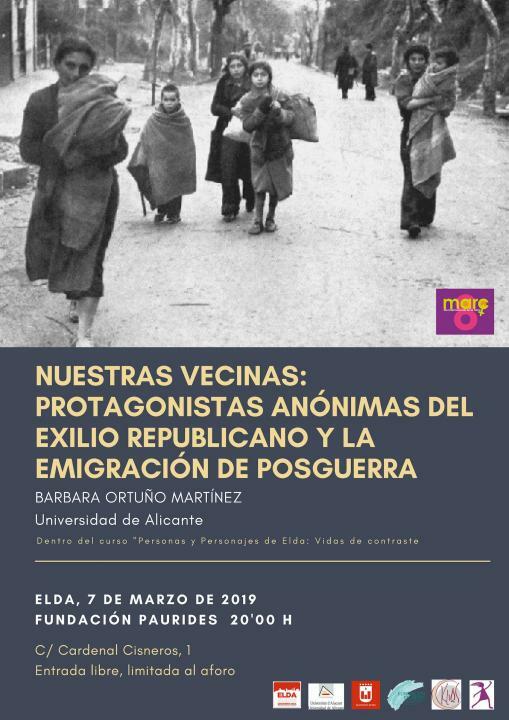 By University of The Balearic Islands senior lecturer David Ginard Féron, as part of a course on 80 YEARS SINCE THE END OF THE SPANISH CIVIL WAR: LIVING AND DYING IN DEFEAT (open to all public). Date: 8 March, 8 pm. Date: 9 March, 8.15 pm. Date: 13 March, 8.55 am. Date: 13 March, 9.30 am. 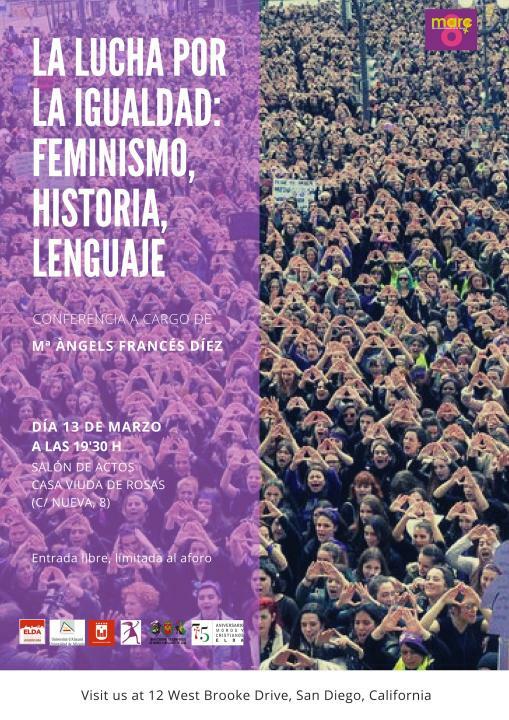 Lecture on the struggle for equality: feminism, history and language. Date: 13 March, 7.30 pm. Date: 14 March, 7 pm. Date: 16 March, 7 pm. Date: 17 March, 11 am. Date: 25 March, 8 pm. Date: 28 March, 8 pm. Date: 16 April, 8 pm.